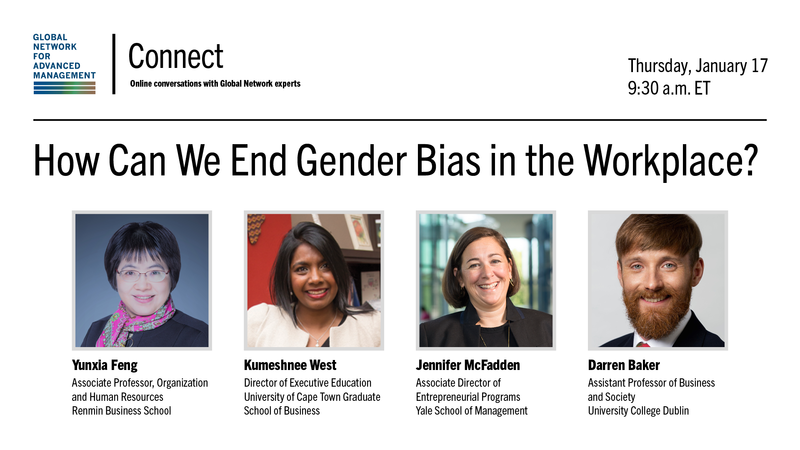 [Webinar] Global Network Connect: How Can We End Gender Bias in the Workplace? Women remain underrepresented in many industries, especially at the highest levels. The #MeToo movement illuminated the bias—and sometimes hostility and abuse—that women face in many organizations. And as a 2017 Global Network Survey showed, women face conflicting signals about their societal and professional roles. Join us for a conversation with experts from the Global Network for Advanced Management about the steps, large and small, that can contribute to gender equity in the workplace.